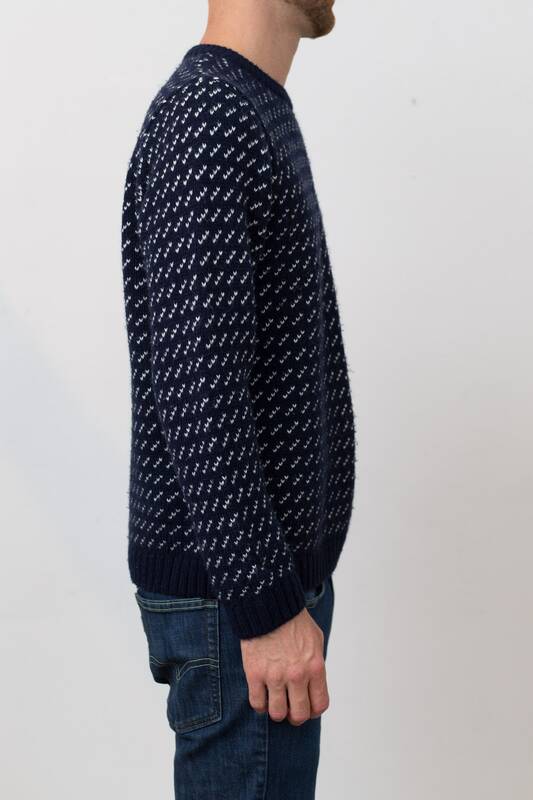 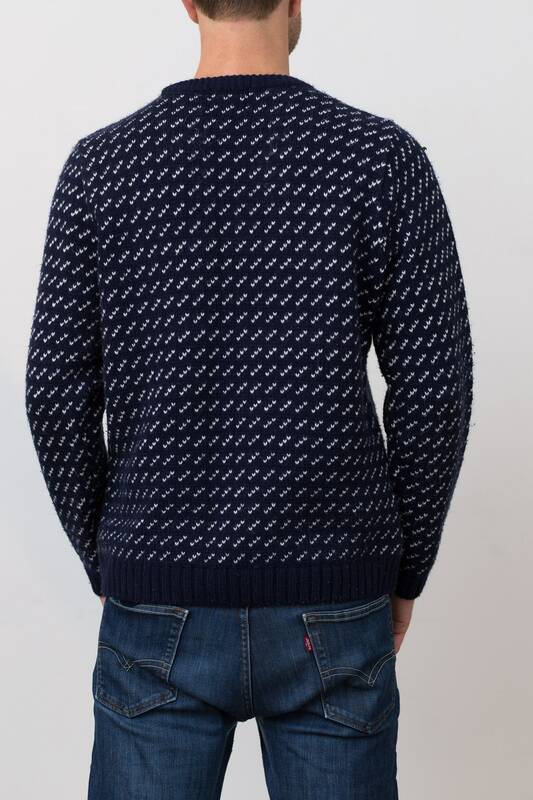 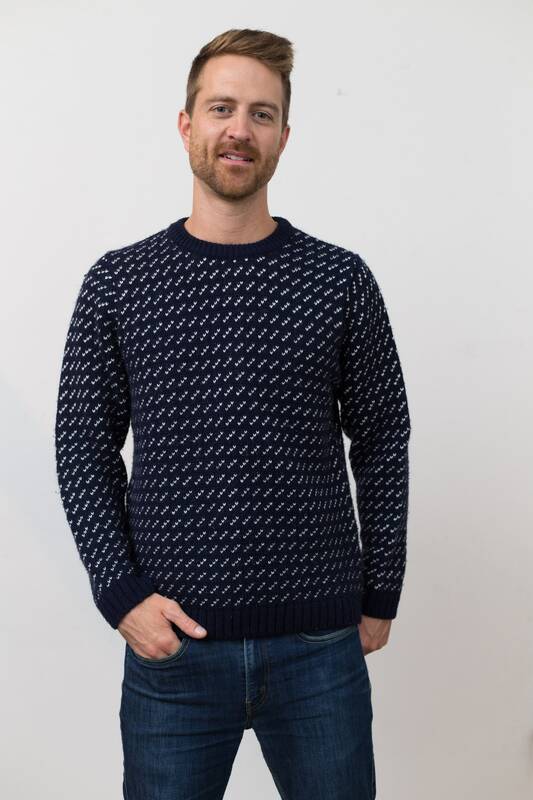 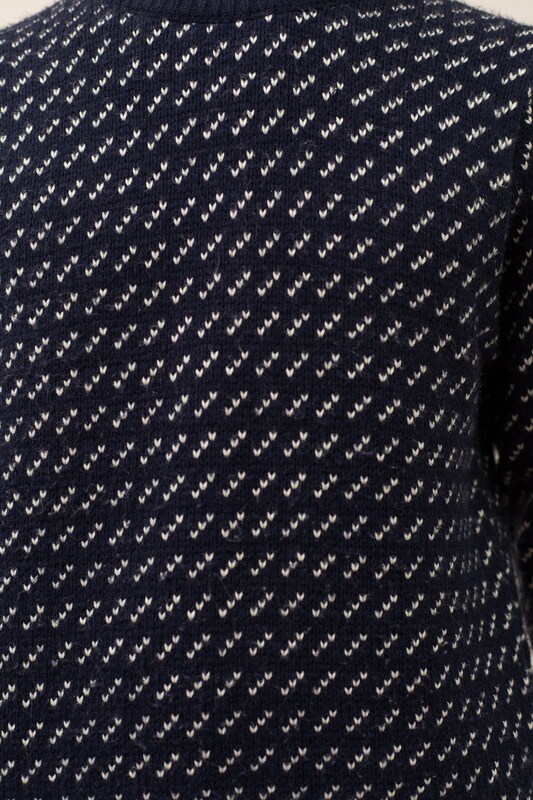 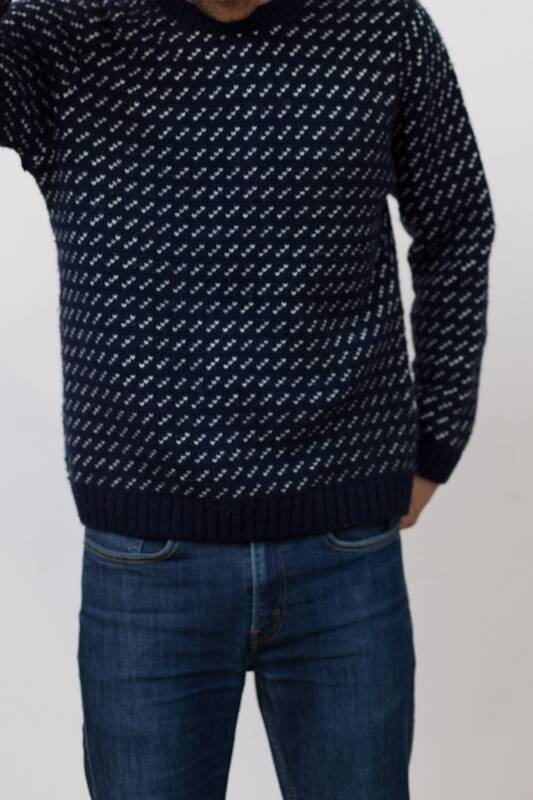 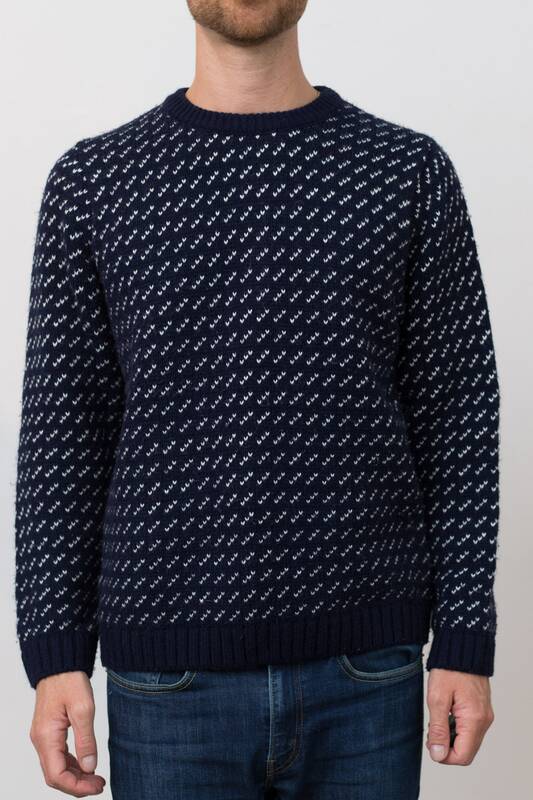 This is an excellent medium size blue and white doted knit pullover. 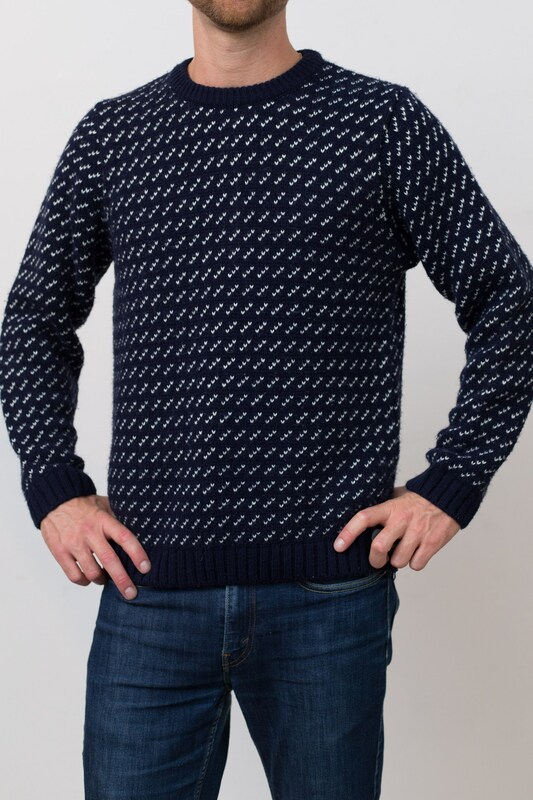 Fits Like: regular medium, fitted large. 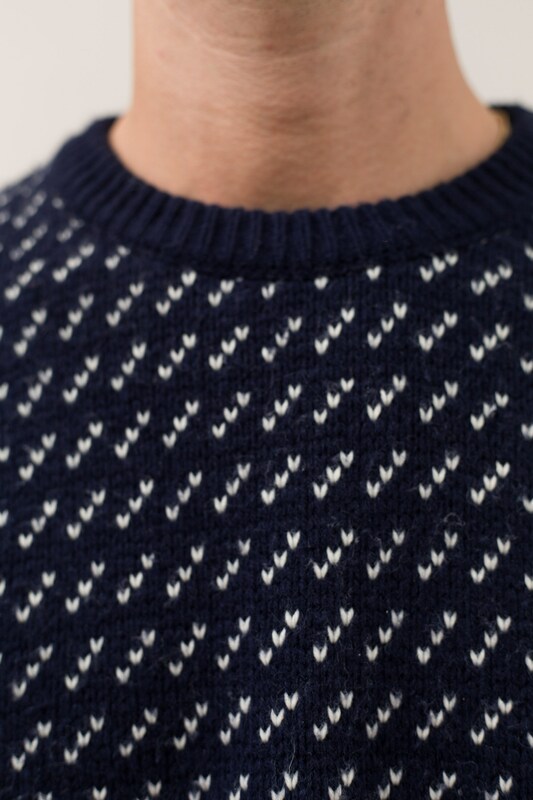 Material: 91% acrylic, 9% wool.